Why Are Voters Supporting Joe? 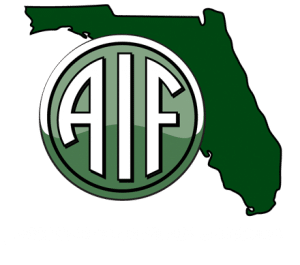 Florida first, employment opportunity, constitutionalist, clean water and will support President Trump! Joe has a mind of his own and always puts his constituents before special interest groups. He has an open door policy and will be a very effective State Senator. I first met Joe while volunteering for President Trump’s 2016 campaign. His values were well aligned with mine, and when I found out he was a CPA, I immediately set up an appointment because my small business was searching for a new accountant. This allowed me to get to know him even better. I so admire his family values, and his stance on the First and Second Amendments. He has already been a very influential State Representative and I know he will do great things as a State Senator for our district. You grew up facing a lot of challenges… You believe and have strong family values…I really appreciate you a lot! 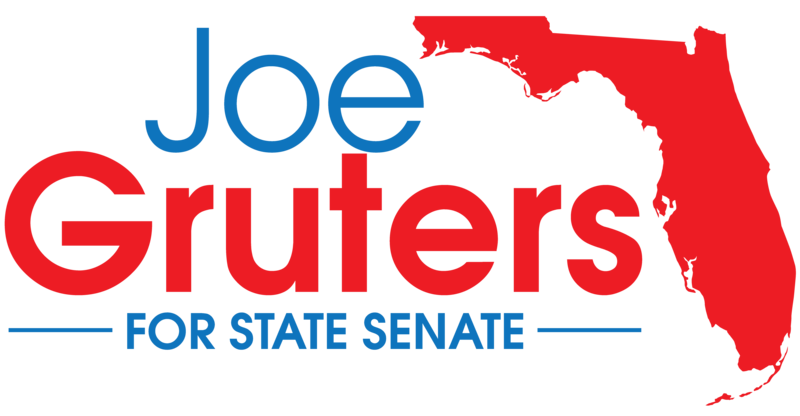 Joe Gruters is a common sense conservative who I have known for 30 years and have no doubt that he will do the best and what is right for all the people of Florida. Supporting Joe Gruters is an easy decision. Joe is a small business owner, so he understands the impact of taxes and job killing regulations that impact the engine of our economy. Joe is a job creator, not a job killer. Joe supports law enforcement and Kate’s Law in the effort to protect Florida from criminals and illegal aliens who defy our laws. 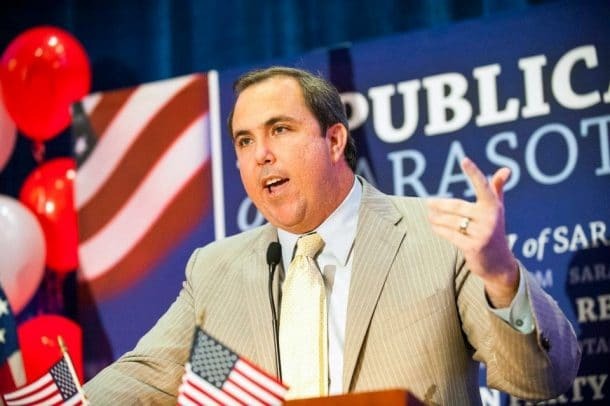 We need Joe Gruters in the Senate! 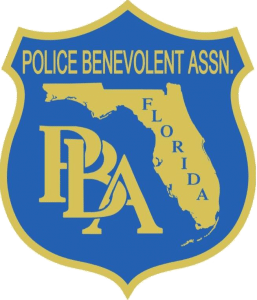 Proven dedication and commitment to our community and the State of Florida. Campaign promises were fulfilled and his accomplishments exceeded expectations. He is personable, genuine and executes his oath with honor, dignity and integrity. Everyone matters to Joe, including our domestic animals. I had the honor of co-presenting a rare Certificate of Recognition on behalf of the ASCPA for his positive impact with animal welfare. I support Joe Gruters because he is a strong conservative and looks out for his community. Representative Joe Gruters is a champion of the people. He passionately serves the people by fighting unnecessary regulatory rules, champions tax cuts and eliminates excess spending. 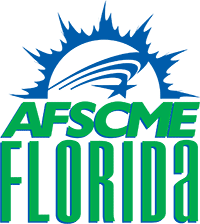 As a Sarasota native, I have seen Joe fight for better education for our children and safer communities for our families and Seniors. Joe is a principled conservative and a great husband and father. 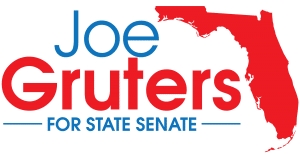 Joe Gruters cares about his constituents and Southwest Florida, a beautiful place we all call home. For these reasons, I fully support and endorse Representative Joe Gruters.